JUAN DOWNEY - ARTE AMAZONIA provides a global voice through art for the indigenous cultures of the Amazon. The work of John Downey is deployed across a wide range of practices, drawing, installation, video, painting. It also addresses a number of complex issues and relevant at the time about the use of new technologies in art and the implications this would have on scope and significance in a context beyond the museum space. 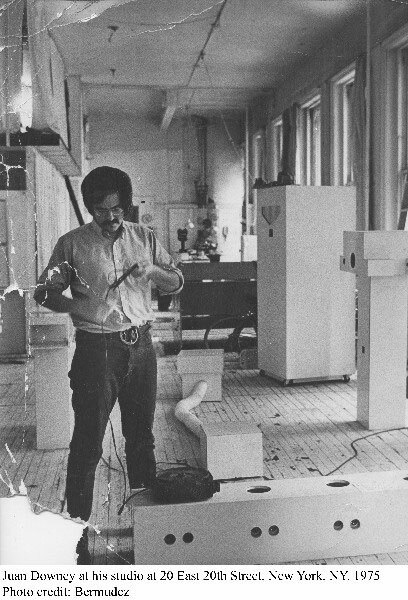 At the beginning of his career in the sixties, Downey was interested in kinetic art and technology, his early drawings soon gave way to electronic installations and sculptures involving the active participation of the viewer. At that time, the video began to be used by some artists who were in the middle of a huge potential. Downey began experimenting with video from early on, and today is considered one of the pioneers of a medium at that time discovered himself. With these works, fundamental to the artist's production, Downey positioned himself as a "cultural communicator and an anthropologist activator aesthetic, visual means of expression which is the video." Juan Downey was born in Santiago, Chile in 1940. He has studied architecture at the Catholic University of Chile and printmaking with Stanley Hayter at "Atelier 17" in Paris. He died in 1993 in New York, where he served as the Assistant Professor in the School of Architecture at Pratt Institute in New York. Organized in collaboration with the MIT List Visual Arts Center, Juan Downey: The Invisible Architect is the first U.S. survey of this pioneering video artist and brings together more than one hundred works, including drawings, artist's notebooks, paintings, video and photographic installations spanning from early experimental work with art and technology to the groundbreaking video installations from the 1970s through the 1990s. Originally from Chile and formally trained as an architect, Downey began experimenting with different art forms when he moved from Paris to Washington DC in 1965. 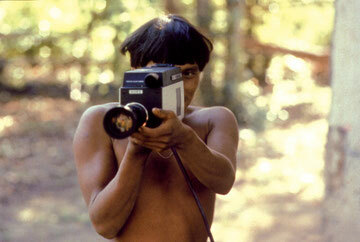 His work was strongly influence by his experiences of living with the Yanomami. Also, he developed a strong interest in the concept of invisible energy and shifted from object-based artistic practice to an experiential approach, seeking to combine interactive performance with sculpture and video, a transition the exhibition explores. Downey quickly established himself as an avant-garde pioneer of video and technology art and for the next two decades began to explore invisible forms of energy and communication, describing himself as a "cultural communicant" and an "activating anthropologist." The exhibition was on view May 6 - July 11, 2011 at MIT List Visual Arts Center, Cambridge, MA and then was on view at Arizona State University Art Museum, Tempe, AZ, until December 31, 2011. The "Video Trans Americas" project is perhaps closest to the history of dramatized documentary efforts in films with an ethnographical intent such as Flaherty's Nanook of the North (1922), Cooper and Schoedsack's Grass (1925) and Chang (1927), Buñuel's Land Without Bread (1932) and Rouch's Chronique d'un été (1961). These films range from using the life of another people as "plot" for a fairly conventional adventure film (Chang), to imposing a completely Western metaphysic onto the life and rituals of another culture (Nanook of the North), to questioning the "objectivity" of the travel documentary mode and the position of the observer (Land Without Bread) to actually intervening in the life of the people being investigated in order to record their responses (Chronique d'un été). Downey's work continues this dialogue between fiction and documentary and combines it with structural anthropology's techniques for "extracting the secret architecture" (Lévi-Strauss) of myth. 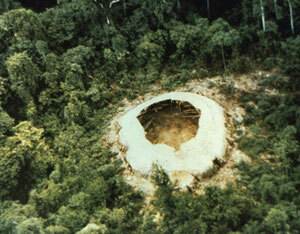 Besides seeing myth as architecture, Downey analyzes the Yanomami architecture as myth: their basic dwelling unit, the shabono, functions as the intersection of their social structure and their cosmology. Downey prefers to show these tapes on a circular bank of monitors which duplicates the plan of the shabono, thus once again using electronic means to extend and comment on Yanomami myth and social system. "The Shabono functions as the intersection of their social structure and their cosmology."